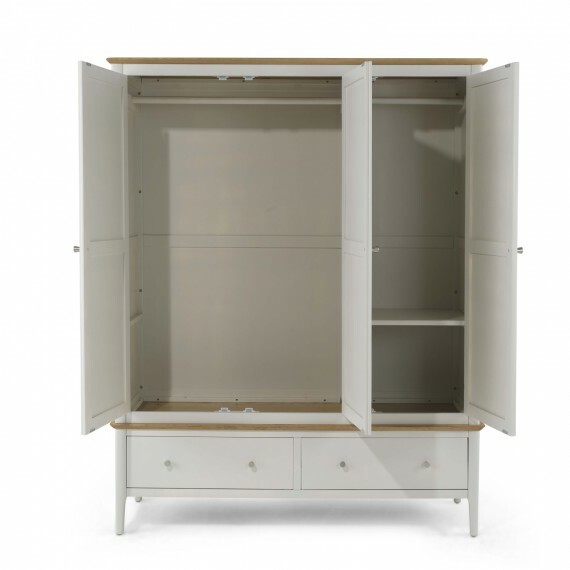 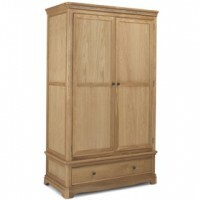 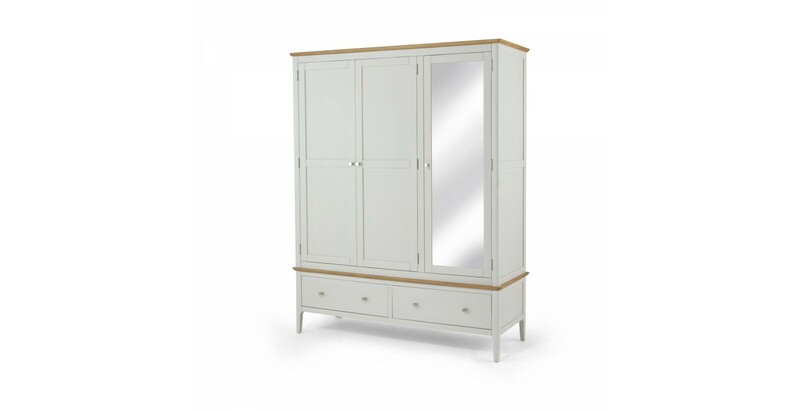 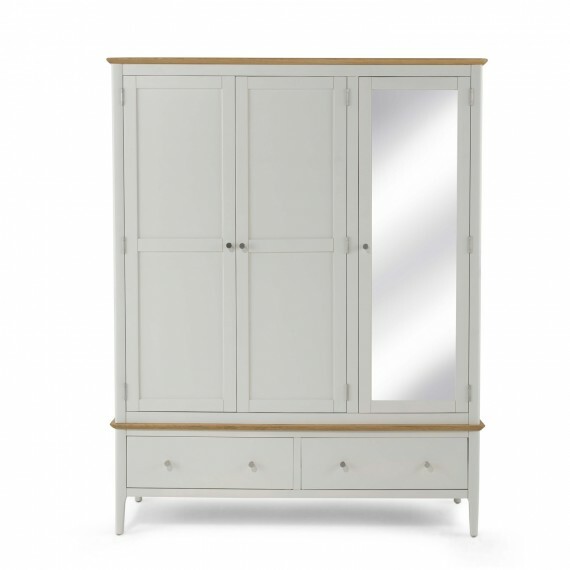 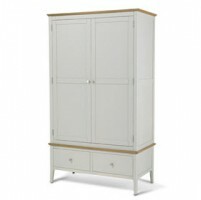 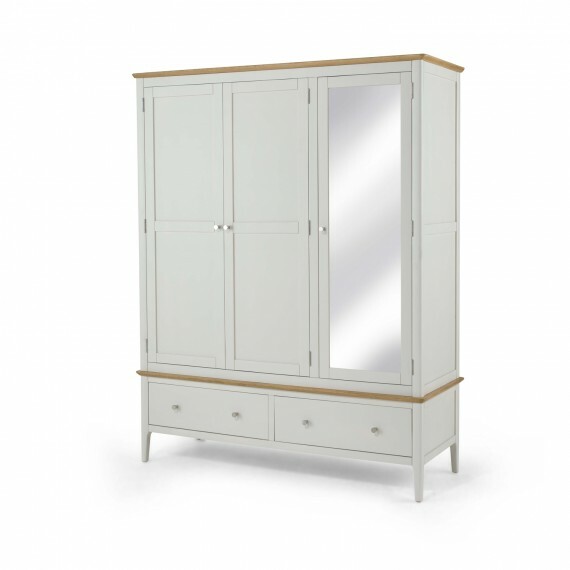 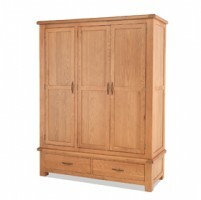 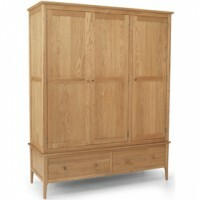 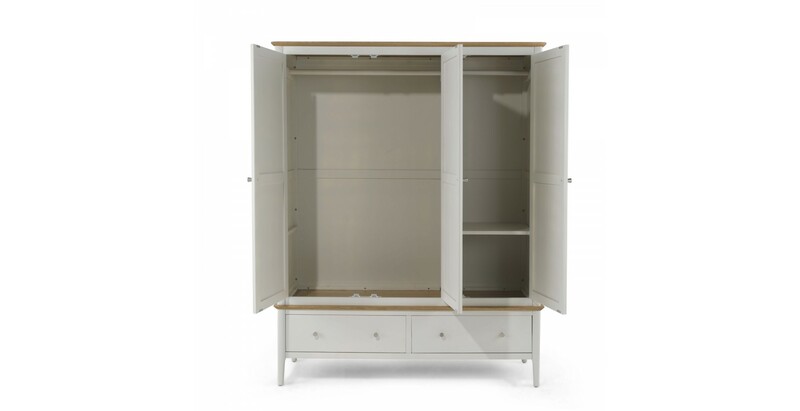 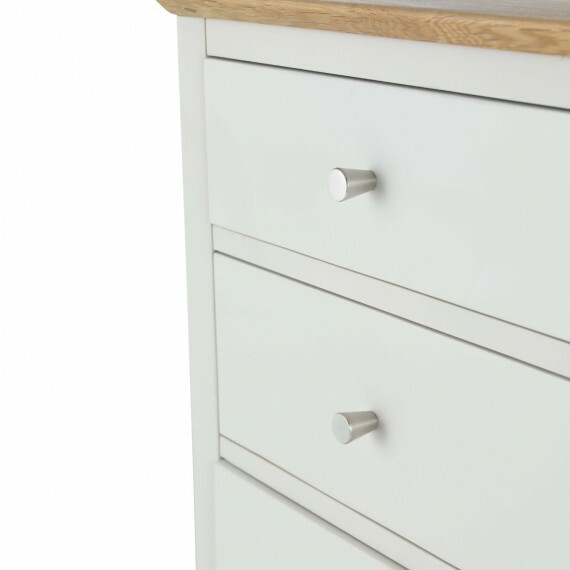 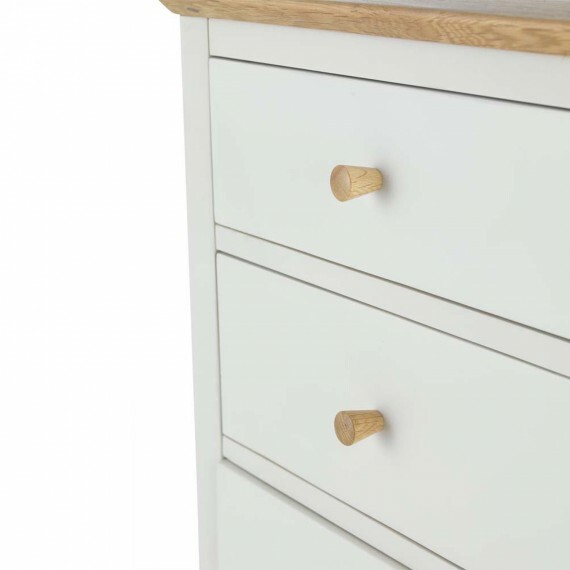 Impressively proportioned, simply designed and made with a craftsman’s care, this Shaker-inspired triple wardrobe has been given a calming grey paint finish that will help it blend into any décor without dominating the space. 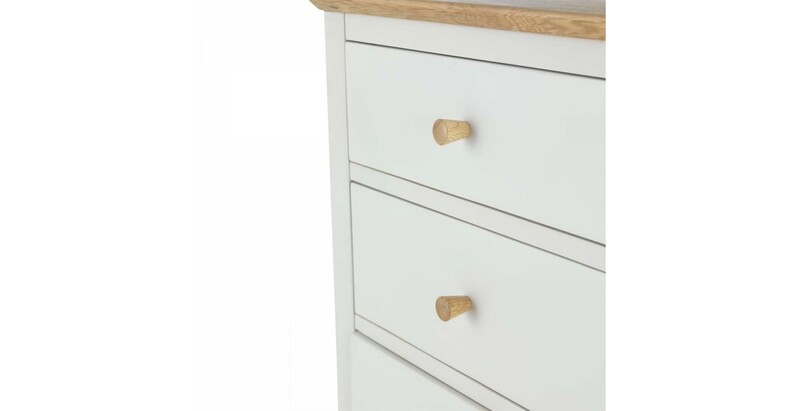 A waxed oak top adds a touch of rustic charm, and rounded corners on the waxed oak top, along with curved edges help to soften its clean lines. 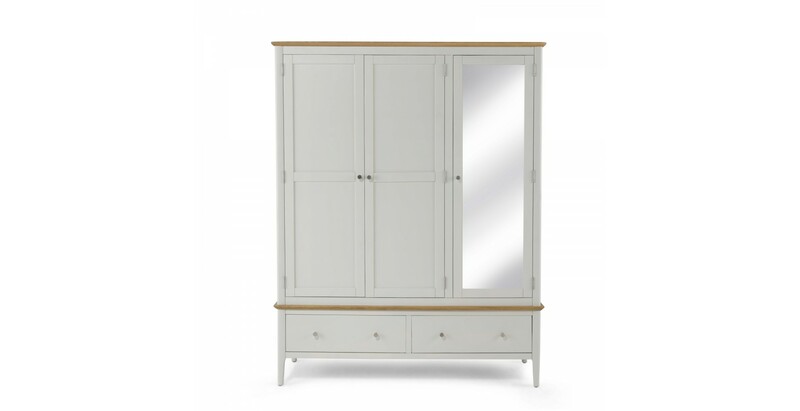 Plentiful hanging and shelf space lives behind the three doors, and a full length mirror on the single door means you can check how you’re looking. Drawers at the bottom provide useful extra storage for bulky jumpers and jeans, and small wooden and metal drawer and door handles are supplied so you can choose which will look best in your space.